Everything was perfect. Great hosts, great location. Clean!! I love the staff. So friendly and helpful. And the location is awesome. The manager goes above what is expected to make her guests feel like welcome friends. She truly wants visitors to love Santorini as much as it is obvious that she does. I am recommending Laokasti Villas to my family and friends. I will definitely be staying here again. I especially was happy with the private parking for my rental car. We decided last min that we needed to stay one night in Oia. We were met at the ferry by Marcus and he carried our huge bags and drove us to out hotel. The room was perfect and so close to shops and restaurants. Everyone was so nice and helpful and we loved our time in this town. Right at the edge of the Main Street in Oia. Perfect location! The breakfast was great and available in your room. Loved the people and the facilities and the service. Everyone was so nice. The first person was Katarina and she was great!! Loved the waiters and waitresses and esp Marco at the Pool!!! Everyone had a servants attitude and made us feel so welcome. Great location, the staff was super friendly and accommodating, rooms are big and very comfortable as well as very pretty great pool with a very attentive pool attendant. Will very highly recomend! Stunning location in Oia, view of eastern Aegean from our room and the pool, breakfast delivered to our personal patio everyday. Reception was extremely friendly, suggested excellent restaurants, bottle of wine was waiting in our room as a nice special touch. Would absolutely stay again, would be great with kids (kitchenette in room, pool right outside). Keep in mind no "caldera" view, but it's right across the street. Also very close to superette type market, great to pick up snacks and water quickly. Poppy as very knowledgeable of Santorini Island,friendly,provided us with maps & marked things to help us enjoy our trip even more.Everything including buses are within walking distance from Laokasti . I would absolutely stay there again . Lock in a great price for Laokasti Villas – rated 9 by recent guests! Laokasti Villas This rating is a reflection of how the property compares to the industry standard when it comes to price, facilities and services available. It's based on a self-evaluation by the property. Use this rating to help choose your stay! The Laokasti Villas complex is located in the beautiful settlement of Oia in northern Santorini. 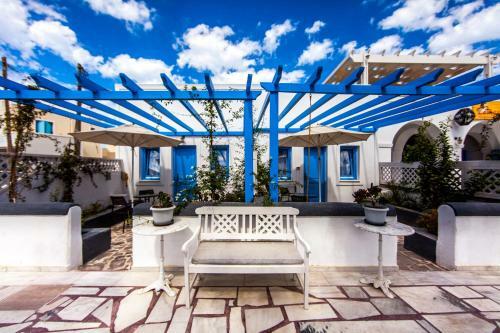 The Laokasti Villas in Oia is a traditionally styled complex consisted of of 17 spacious and comfortable hotel studios, apartments and villas. The complex includes well-designed hotel facilities and offers excellent services. A la carte breakfast is daily served at the property's restaurant or in your own space. When would you like to stay at Laokasti Villas? Traditionally decorated rooms opening to a private veranda with garden or partial sea views. 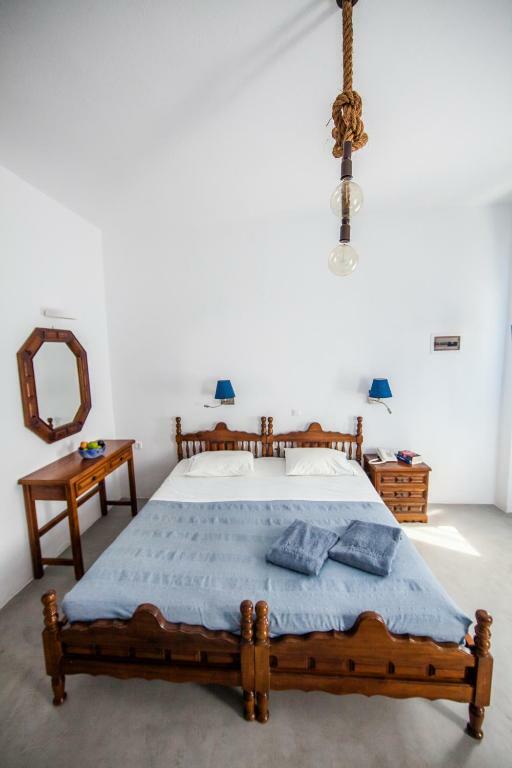 Spacious suite of traditional architecture with a loft. Some units are located by the pool and have private balconies with a magnificent view towards the sea and Ios Island. 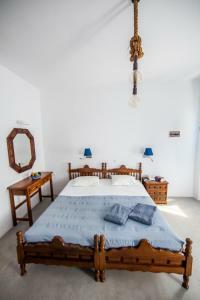 Spacious, traditionally decorated suite with a separate bedroom. Some units have private balconies with a side view towards the sea and Ios Island. Suites are more spacious and are traditionally decorated and fully equipped. They are located by the pool. They all have a private veranda with a view towards the sea, the pool and Ios Island. 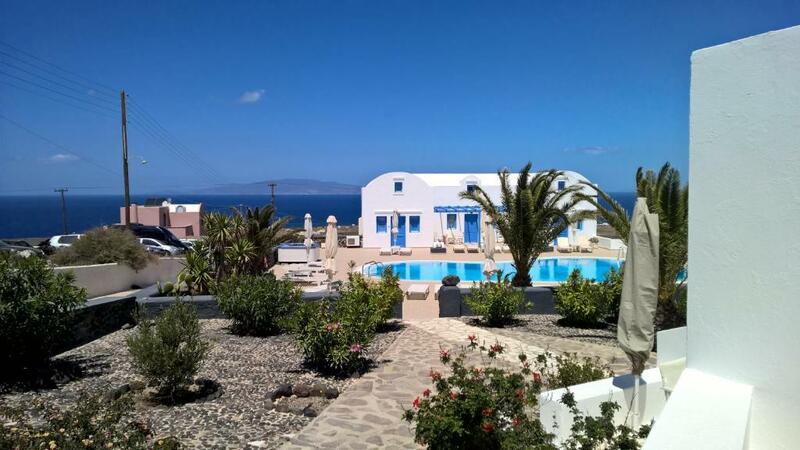 Laokasti Villas is a hotel with a restaurant, located in Oia, at the beginning of the Town. Laokasti Villas was built in 1985 and till 2015 had been operated by the same family. Since February 2016 Laokasti Villas and Restaurant is under a new management. 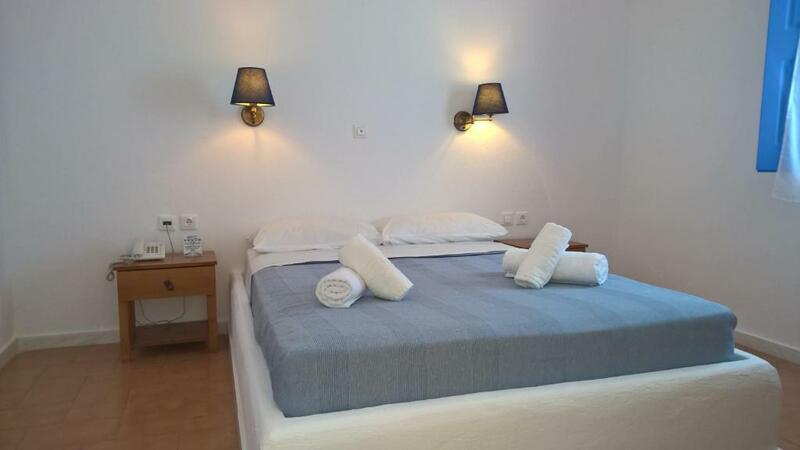 It is located in the most picturesque and beautiful village of Santorini, Oia (pronounced : I - a) and offers a fantastic opportunity to enjoy the beauty of Santorini. House Rules Laokasti Villas takes special requests – add in the next step! Laokasti Villas accepts these cards and reserves the right to temporarily hold an amount prior to arrival. Please note that an extra bed can be added in some room types, upon request and extra charges apply. In case of late arrival, guests are kindly requested to inform the property in advance of their expected arrival time. The staff were very friendly and helpful and made our stay really easy and enjoyable! Excellent hotel, location was great at the end of the tourist Caldera strip! Very pleasant staff. No spare quilt in the room just thin blanket for me.At night, it’s quite clod while air conditioning is off automatically. Good location. Full-furnished like single apartment. Tidy and clean. Staffs are hospitality and helpful. Restaurant is outstanding favourite food in Oia! The staff is super nice!! I would like to express my gratitude to Popi, Marcus, Yanes, and 3 other staff i encounter during my stay in Laokasti. They are exceptionally friendly and helpful i feel like home and safe through out my stay. I lost the room key as i believe i missplaced it, but the staff manage to find it and keep it for me.. oh ya! And the restaurant is to die for! 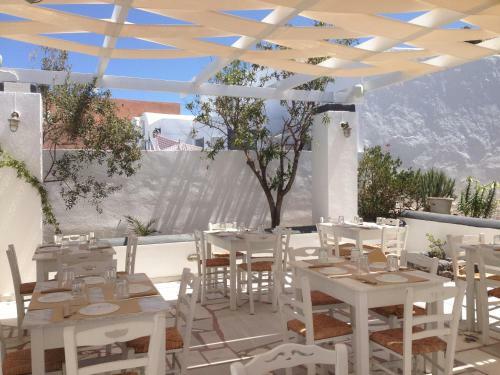 They serve traditional Greek Cuisine and very delicious! More than that, there is minimarket next to the villa and i love the fresh picked orange from the store! Everyone is hotel is nice person. Markos is very nice, and I like the food in the restaurant. He is my friend! The facilities is new and I saw many people in the island repair the hotel during the winter time, maybe that's the reason. The host / reception was very good. Location, very friendly staff, beautiful sunset, Breakfast.